Senior adults are extremely active and involved members of Karcher Church. Whether you are a retiree or soon will be, a grandparent or someone with adult children, married or single, you'll find a wonderful community here. We have multiple ways to get involved in discipleship, volunteering and support, and social events with others who enjoy spending time in fellowship and service. On the fourth Wednesday of each month (September-May), anyone age 55 or older is invited to join us for table games at 10 a.m. followed by a potluck lunch at noon, and other activities. In addition to our monthly fellowship luncheon, a number of day events are planned throughout the year including a district adult retreat at Trinity Pines each September. Please contact the church office if you have interest in getting involved and making connections. One particular highlighted ministry is Karcher Krew, a group of retired folks who take on maintenance and custodial projects around the church facilities. The Krew meets on Tuesday from 9 a.m. to noon. 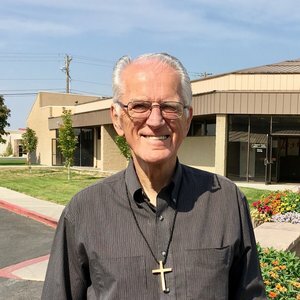 Senior adults also play a significant role in encouraging others through visits and phone calls, along with other volunteer tasks such as helping in the church office and greeting on Sundays, as well as mentoring and special friend opportunities. Karcher Church offers a variety of Sunday School options ranging from a small, discussion based class for new believers to expository Bible teaching in a larger group setting. Please check at the Welcome Center in the Sanctuary building to find topics and location. In addition to our Sunday morning worship service and Sunday School classes, there are Prayer Meeting options on Wednesday evenings, along with a Ladies Bible Study. You will also want to keep an eye on the schedule for Sunday evening services and fellowship opportunities. On the 2nd and 4th Tuesday of each month, join the men's coffee hour in the Family Life Center at 9 a.m. A Bible-based discussion is always the subject. Contact Larry Webb.